Teddy Thomas scored a hat-trick of tries on his France debut as Les Bleus beat Fiji 40-15 in Marseille. South Africa-born Scott Spedding – a controversial selection in France - also shone on his first appearance, but it was Racing Metro left wing Thomas who stole the show. Spedding was the architect for two of those tries while Thomas's fellow Basque, fly-half Camille Lopez, kicked 13 points. French-based wings Watisoni Votu and Timoci Nagusa - with a stunning late effort - crossed for Fiji's two tries as the Pacific Islanders lost to France for the ninth time in as many attempts. France came into the game with their 13th half-back pairing in 30 matches under Philippe Saint-Andre, yet the in-form pair of Sebastien Tillous-Borde and Lopez helped the hosts take a first minute lead. Tillous-Borde moved quick ball from the breakdown and Lopez played an inch-perfect crossfield kick for Thomas to take in mid-air and touch down for a try inside the first minute of his debut. Both sides showed a willingness to throw the ball around and play running rugby but the handling errors soon started mounting. Lopez kept the score ticking over, landing penalties in the eighth, 29th and 40th minutes for a 14-0 half-time lead. With three debutants in the starting line-up, France had many players eager to shine but full-back Spedding initially disappointed, fumbling the ball on his first two carries. Fiji's New Zealander coach John McKee made a change at half-time and it paid instant dividends as Nemani Nadolo, who had replaced Lepani Botia in the centres, kicked a stunning long-range penalty from wide left, the ball hitting the inside of the post as it went over. A minute later and Fiji spread the ball from left to right for wing Votu, who plays for Perpignan in the French second division, to go over in the corner. Although Nadolo missed the extras, Fiji were suddenly within a converted try of going in front and the match finally ignited. 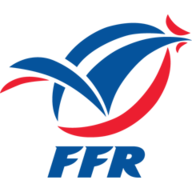 France sparked into life and from a scrum deep in the Fiji 22 they went first from left to right before coming back again, where Spedding fed Thomas to dive over for his second, Lopez converting. Within a minute, Spedding beat three players down the left and took out a fourth with a perfectly timed pass for Thomas to steam down the wing and complete his hat-trick. France were now in complete control and former captain and Stade Francais lock Pascal Pape emerged under a pile of bodies with the ball for a push-over try on 67 minutes. Left-footer Lopez landed another difficult conversion from wide on the left. Wesley Fofana got on the scoresheet with a spectacular dive, catch and touchdown after a beautiful chip from substitute Remi Tales, while another South African-born player, Rory Kockott, on for Tillous-Borde, kicked the conversion.  Fiji had the final word, though, with a brilliant, length-of-the-field try from Montpellier's Nagusa after running the ball from behind their own line.